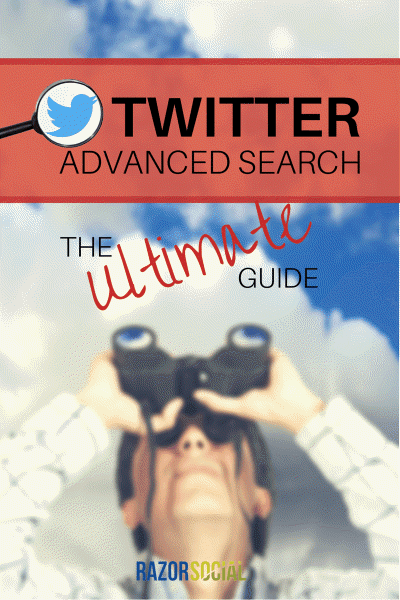 Twitter advanced search is a powerful tool that you need to use! Are you tracking sales opportunities for your business? Are you tracking conversations related to your competitors? Social media is ideal for listening in on conversations. You can carry out market research or find potential leads or partners. But there is so much noise that pinpointing exactly what you’re looking for is impossible. Not many people seem to know about Twitter’s Advanced Search, but it can do all of the above, and more. If you want to find tweets sent to the New York Times in the first week of January that mention snow and have a positive sentiment, you can do so! Even though that’s quite a random example, you can start to see the possibilities of this advanced search. It can help you to understand how customers are reacting to your brand or what people think about the latest news from your industry. So, that’s what you can do with Twitter’s Advanced Search. Let’s now look at how you do it. FREE Bonus: Click Hereto Download our 1 page summary of these powerful Twitter Advanced Search tips. All of these words: When you enter words into this box, Twitter searches for tweets that contain them all, e.g. “Restaurant Boston” (without the “”). This exact phrase: Twitter searches for exact matches here, so if you enter “hairdresser in London”, you will only see results with those words in that order. Any of these words: You might want to enter different names for the same thing here, or make sure all your brand options are covered, such as “#razorsocial @razorsocial @iancleary”. This will find tweets that contain any of those terms. None of these words: You can exclude words from your search so, if there are irrelevant results that always come up when you search for your brand name, you can get rid of them. These hashtags: Search for tweets that include certain hashtags. Do you want to find conversations on Twitter? If so, you can search only for tweets without links. Equally, if you want resources, you can search only for tweets that include links. To do this, enter “http” in either the ‘None of these words’ (for tweets without links) or the ‘All of these words’ (for tweets with links) fields. The next section on the Advanced Search form is ‘People’. 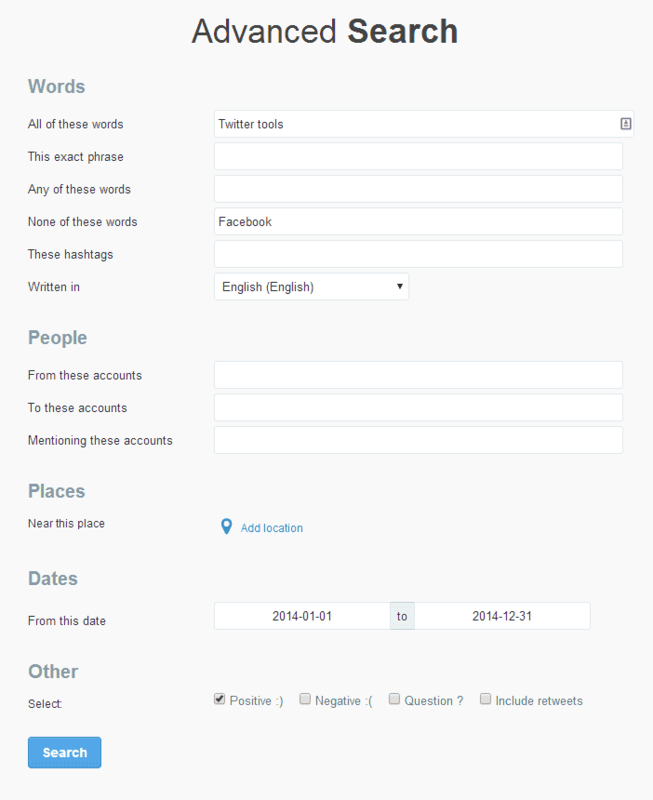 This helps you to search for tweets relating to particular Twitter profiles. From these accounts: Twitter will display results from a username you enter here. To these accounts: Twitter will show tweets that were directed at a particular user. Mentioning these accounts: The results will show tweets mentioning specific accounts. In Twitter Advanced Search, you can choose to search for tweets sent from particular places, in a particular timeframe. So, you can search for tweets that have mentioned your brand from the date of your most recent campaign launch. 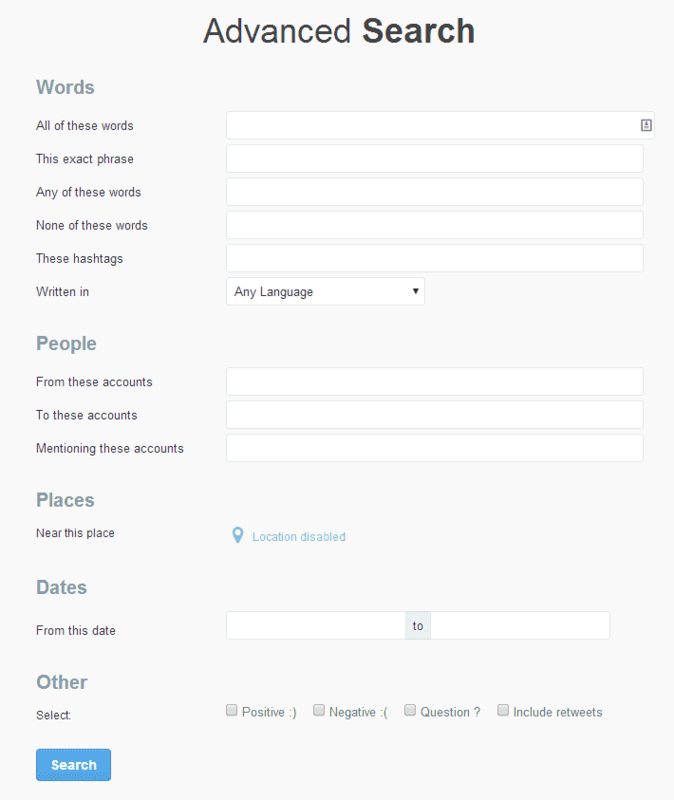 In the same way, if you want to find tweets that were sent before a set date, you can do this, too. Click on the ‘from’ or the ‘to’ field box and a calendar pops up. Choose the dates for your search there. 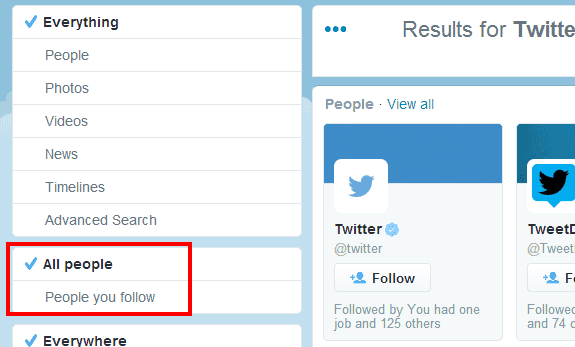 This section lets you get even more specific about the tweets you want to see in your search results. Sentiment analysis is about detecting how people feel about the topic they are tweeting about. Here, in Twitter Advanced Search, you can choose to search for only tweets that are positive, or only tweets that are negative. You can also search for tweets that contain questions. This is useful if you are looking for leads and want to prove your brand is helpful and offers great customer service: find questions about your products or keywords and answer them! Finally, you can choose whether to include retweets in your search results. If you carry out your search and the results are overwhelmed by retweets, you might want to make sure this box is unchecked. On the other hand, if you really want to see which tweets are creating buzz, seeing retweets could be useful to gauge popularity. When you are carrying out an Advanced Twitter Search, you can fill in as many of these fields as you want. The more you fill in, the more narrow your search will be. For example, here, we looked for tweets in English about Twitter tools that did not mention Facebook. When I want to search my tweets or someone else’s the results go back to 2014. Now, you can drill down into your search even further! You can click on people, photos, videos, news or timelines on the left-hand side of the screen. You can find Twitter accounts that fit your search by choosing ‘People’. You can find tweets with images by clicking ‘Photos’, tweets with video links by clicking ‘Videos’, and so on. When you have found the perfect combination of search terms to exclude and include, click ‘save’ in the top right-hand corner so you can easily access the same search again. As you can see the Twitter support for search is quite good. 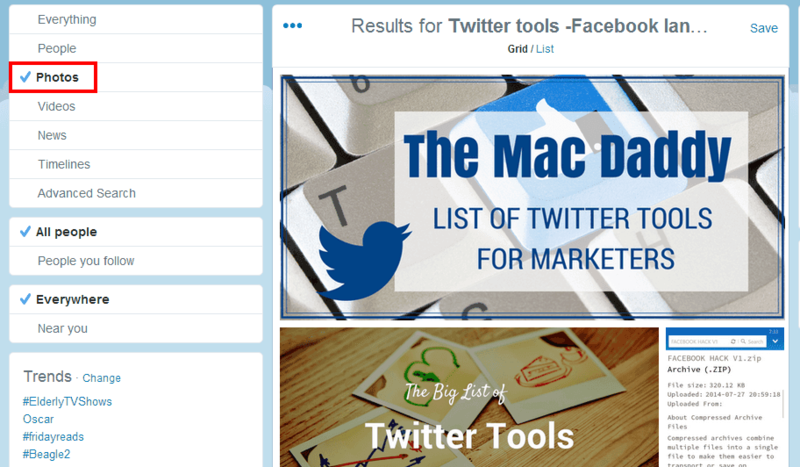 What will you use Twitter Advanced Search to find out? Have you used it before?